Ready for battle as Pan and Hook in the 2017 Camp College Variety Show. 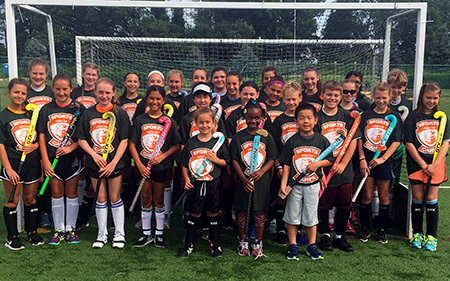 Field hockey is among six options in one-week Sports Camps. 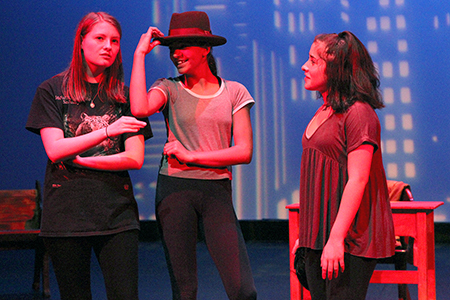 Tomato Patch workshops offer acting, singing, dancing, visual arts and more. 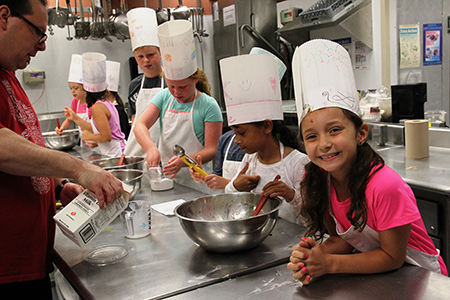 Happy chefs in "Kids in the Kitchen," one of numerous one-week specialty camps. Camp directors will be on hand to provide overviews of all camp programs and answer questions about scheduling, staffing and pricing. Tours of MCCC's extensive facilities will be available, including computer labs, Olympic-size swimming pool, sports fields, tennis courts, and cafeteria. 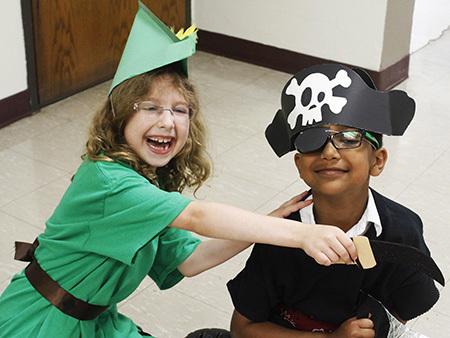 More than 70 options are available for fun and enrichment during Summer 2018. The season begins June 18 and runs through August 17. MCCC's long-running programs for children ages 6-17 include: Camp College, offered in two sessions (June 25 to July 19 and July 23 to August 16); one-week, full- and half-day Specialty Camps (June 25 to August 17); Sports Camps, featuring one-week sessions in six different sports (June 18 to August 10); and Tomato Patch Visual and Performing Arts Workshops, offered five days a week in two sessions (June 25 to July 20 for 8th through 12th graders and July 23 to August 10 for 4th through 7th graders.) Note that the Tomato Patch schedule includes Fridays for the first time. Before and after-camp care is available for all programs. Families will be able to submit their camp registration forms at the Open House, guaranteeing the widest selection from Mercer's offerings. For those who plan to complete the application at the Open House, some medical information, including current immunization records, is required. Visit www.mccc.edu/camps for details. More about all MCCC summer programs for young people is available here or by calling 609-570-3311. Camp College will host additional information sessions on Saturdays, Feb. 17, March 10 and April 28 from noon to 2 p.m.
Camp employment opportunities are available for teachers, counselors ages 18 and up, lifeguards and swim instructors. Call 609-570-3311 or email campcollege@mccc.edu.